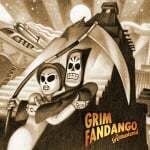 E3 2018 is Christmas for new game announcements, and Nintendo Switch has another one to add to its collection in the form of Grim Fandango Remastered. The port was announced during a 20th anniversary reunion of the original cast and director/writer Tim Schafer, although no release date was announced so you'll have to wait a little longer to enjoy this classic adventure on Switch. Why wasn't this in the direct? It's a recognisable brand that fits the Switch perfectly. Nice, got it on Android but couldn't play it on touch only so I will certainly get it now! Such a great classic game. Wish Full Throttle would be released too! YES! Y-E-S! Don't charge more than 15€ and I'm on board! I never got around to picking this up on the Vita. Definitely will now though. “My scythe. I like to keep it next to where my heart used to be.“ One of my favorite games of all time. A legend of the adventure genre. I already got this on the PS4, but I may pick this up down the line. Gimmie! never got around to buying this on PS4, so im all got getting this on the Switch. Need me some more point n click games! Nice, for some reason I never picked up the remaster despite loving the original, so I'll definitely pick this up on Switch. Too late. Bought it on Vita in a recent sale. Don't pay more than a few quid for this unless you really wanna show support, cos it will go on sale soon enough. If this does well, hopefully we can get Day Of The Tentacle too. I'll wait for a sale, since I've played the original and the remaster before, but this classic on my favourite system is a no-brainer. Now THAT makes me say fuzzy pickle! Haven’t played this since the pc demo, but loved it. Count me in. Got this on Vita. Love the game but it isn't a spectacular remaster in my opinion. I don't expect a complete overhaul, but an update to widescreen would have been nice. Beyond that it just looks like a slightly sharper version of the original. Side note: Looks like Broken Age is coming too. Just need Full Throttle and Day of the Tentacle now. I remember this being all th the rage back in... 1998 or so in an issue of PC Powerplay magazine (ah, those were the days). To this day, I still haven't played this game, but it has a special place in my heart. May in its 20th anniversary, I shall finally experience this gem. I would love a physical release if they (or Limited Run) were to issue one. Cool. I've always been interested in this game and have heard many great things. Awesome! Can't wait to play this again. The game's bloody good, but a remastered PC version is around since January '15... no way I'm going to double dip this time. @NintendoFan4Lyf Definitely! The Sam & Max games would be great as well. Yes! One of the greatest point n clicks of all time! @BionicDodo @MrMac Widescreen support and "fixing the camera" would mean that they would have to redo the prerendered backgrounds. If they don't have access to the original assets they would have to rebuild the whole game from scratch. That said, I agree that they could have done more with the remaster. They didn't touch the backgrounds at all. Removing the color banding and cleaning up some artifacts shouldn't be too hard with modern image processing software. That's a welcome surprise. I have it on PS4 through PS Plus but never got round to paying it so will pick it up on Switch. Strange it wasn't in the Direct. Nintendo have been utterly random in terms of what they showed. This is one of those games i might consider buying digitally if not released physically, if the price is right. Like €10 or so. Never have played this but have heard good things! I'll definitely be keeping an eye out. @nab1 I am a little embarrassed to admit that I have never played Psychonauts. I have it in my Steam collection but, like a large proportion of my Steam collection, I have never actually played it. I've played this game and I really like it, but I probably won't double-dip considering I already have it on Steam and PC has better controls for point-and-click games, in my opinion. Psychonauts would fit the Switch better. I wish that Disney didn't friggin' own Lucas Arts! I would love to see the Monkey Island series on Switch! Actually, I would love to see a lot of the more obscure point and click games, ala Willy Beamish! I hope they release Day of th Tentacle too!. @BionicDodo Don't be embarrassed, you're not alone. I recently made a list of my backlog, and realized I have about 119 games across various systems that I own and want to play but haven't done so yet. That said, Psychonauts is one of the most memorable games I've ever played, so much so that I truly wish I could delete it from my brain and play it again as new. I can't recommend it enough. 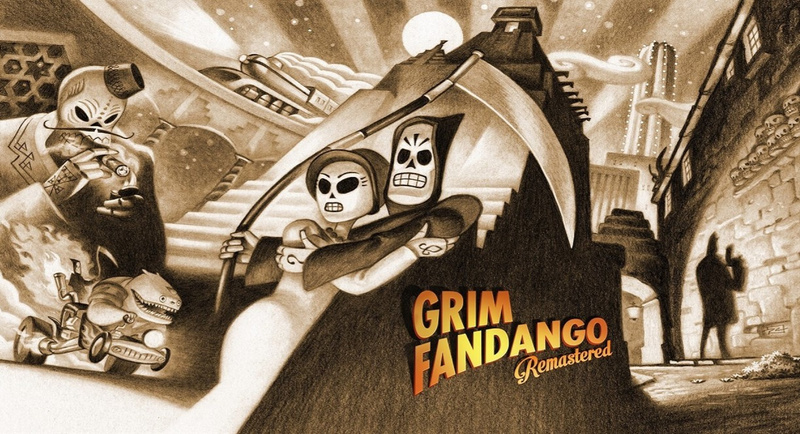 i thought Sony had Exclusive rights for the console version﻿ of Grim fandango remastered. Now all we need is DotT, Psychonauts, BL and HEADLANDER, and we're set for life! Can't wait to buy the Switch next year!